LuckyKid had the most liked content! Thanks for the input everyone, we tested today and after a base timing adjustment we are fast enough to run as is. Our AFRs are 12.3 to 12.5 which I think is conservative but I'd hate to mess with it since the car is competitive as is. Not sure how given the cam timing and new port and polish, but I'll consider myself lucky! Anyone knowledgeable in Megasquirts going to be at the track Thursday? Our tuner is waiting on a part for their dyno and we are going to have to tune it during the test day. We planned to run VE Analyzer Live on-track to get it atleast safe. Our previous tune is with the exhaust cam off a tooth and we just ported the head. I assume its going to impact the VE table alot. Will pay in dollars, beer, or cheese. Thanks! I am also very interested in lap time differences with and without a windshield. I don't know exactly about the aero benefits of the hacking we did, but I can tell you our Miata is faster than other Miatas who have the same or substantialy more power. We are testing a new fastback setup at Road America which will cover the trunk lid area. I will let you know if we are faster like that. The test day is raining so all the other testing we wanted to do is scrapped. I have a suspicion that the open trunk area is changing our low pressure zone in the rear reducing drag, but I will let you know when I compare our turn 1 entry speeds vs. last year. So far, I have some data that makes me think some of the Miata CFD data out there is inaccurate in real world conditions. You couldn't be more wrong. We've actually just closed a deal with Racebar to follow us and blast this track on loop as we collide our way through the field. Crazy, you guys deserve it. I was instructed to send in my stuff by the deadline and then to send in photos of our patches once they arrived. I hope it works out, we're holding off on ecotec partly because of the contingency. It seems so. Do they make straight ring and pinions? From a sheer statistical perspective, we should take each other out by Turn 5 and thus leave the rest of the field with clean fenders for the weekend. Here is what I take from a pure reading comprehension level. Rear-end gear-ratios (Not just rear ends or gears, but the entirety of these words is the subject) Are open (Are zero points) to all OEM differentials (Meaning the "rear-end gear-ratios" of OEM differentials, but again not the differentials themselves) for that year, make and model (Condition of the rear-end gear-ratios, of the OEM differentials) OR (Meaning one or the other) chassis generation (Second condition of the rear-end gear-ratios, of the OEM differentials) excluding specialty high-performance models not listed on the VPI table. (The lack of an OR condition requires an AND condition, which is the exclusion from the OEM differential subset) As such, the rule is defining the ratios that can be used, not the gears or differentials themselves. As a stand alone the rule means nothing, because a ratio is just a number however this entire rule specifically applies to ratios of the rear end since that is the subject to which the gear ratio is referring to. The rule only seems odd when applying it to specific instances, like the Miata where there are two sizes of differential within the same generation. I assumed the rule was written for some of the pony cars where its common to swap rear end ratios. None the less, that fact does not negate the rule as it relates to cars with different differential sizes, so long as the other rules are met. Your teams performance is what we are aspiring towards. Clean, consistent, and also fast. 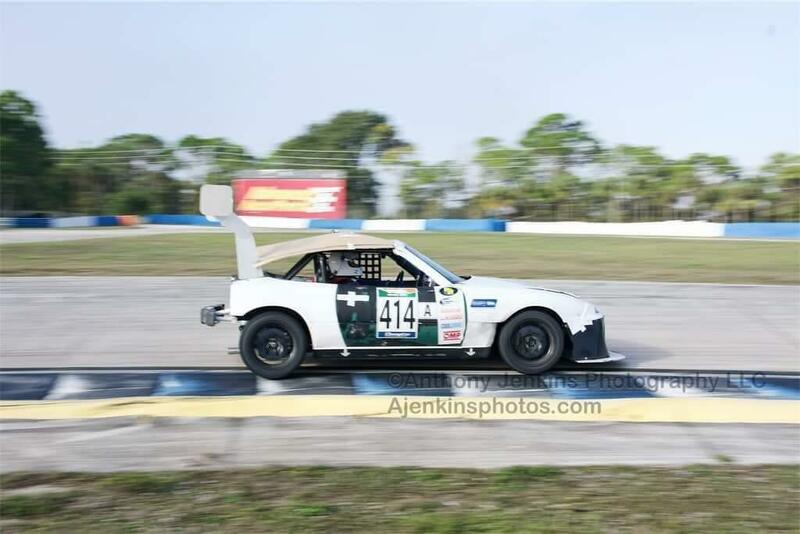 Ironically the 626 I contacted in practice won $1500 from Mazda for winning B Class, which has to be one of the biggest prizes ever for a Champcar race. I am 100% open to input and we've substantially changed our approach. Maybe the word "rule" is wrong, where by the rule is actually a general understanding of expectations on the track. If the following expectations are incorrect, please let me know. "The correct interpretation I discovered is that every driver is entitled to their own line. There are many skill levels and car types and everyone pays the same as you and is entitled to the track, all of it. It's not only the passing cars responsibility to control the car, but to communicate with the driver ahead, to anticipate any line and leave enough in reserve to maneuver as needed to a non-traditional line." That said, if there are other rules of thumb, or input that helps, I am all ears. The cause of the incidents isn't the car or talent, but decision making and incorrect assumptions. We've taken this very seriously to identify the root cause of our contacts and I think it's important that it's shared so there isn't a misconception about what causes them, at least with us early on. The central issue has been our incorrect understanding about the rule "it's the passing cars responsibility to pass safely". Initially I believed this to mean that you control the car and drive a passing line, don't expect the passed car to give up the corner. I was wrong. The correct interpretation I discovered is that every driver is entitled to their own line. There are many skill levels and car types and everyone pays the same as you and is entitled to the track, all of it. It's not only the passing cars responsibility to control the car, but to communicate with the driver ahead, to anticipate any line and leave enough in reserve to manuver as needed to a non-traditional line. We do pass in the corners more than most cars, and we pass alot. We were also too aggressive. None the less, none of that is the true reason contact in our case. It was a big learning curve for us, but we're now driving differently and have a much better understanding on how to avoid contact from a root cause level. I think it's important not to use generalities about the causes of contact since it can lead to misconceptions. All of that said, that has nothing to do with our legal diff. I'm pretty sure he's serious.